Standard microbiology text books are biased to medical bacteria. These factsheets provide pharmaceutical microbiologists with details on the most common isolates from pharmaceutical cleanrooms. The factsheets provide descriptive information and characteristics of the main organisms, to help microbiologists tasked with investigations, together with full colour colony and growth characteristics, and typical Gram-stain profiles, to assist those who carry out identifications. These laminated sheets are ideal for use on the laboratory bench, to assist microbiologists as they carry out their work, and as handy training aids. Regulators have stated that knowledge of fungal identification is weak in microbiology laboratories, and many inspectors expect fungi to be identified as part of microbial contamination tracking. 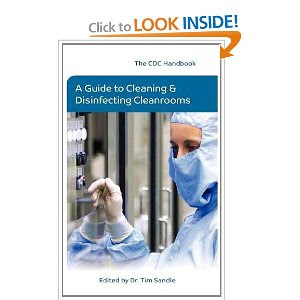 The problem is, few text books focus on the most common cleanroom isolates. Pharmig has addressed a gap by profiling the most common fungi found in cleanrooms (based on FDA recalls) and presenting full colour guides to the cultivation and identification of these fungi. Included with the macroscopic and microscopic images is detailed advice on where these fungi are found and what the implications for their recovery means. Most microbiologists are seeking to invest in and develop rapid or alternative microbiological methods, in order to produce more accurate and faster results. There are also advantages in terms of automation and data integrity. Finding out about the different technologies and then selecting between methods can be challenging. This publication provides an overview of different types of technologies and profiles many of the current methods available. The guide also provides microbiologists (and their management chain) with guidance on selecting and qualifying methods (running the IQ, OQ and PQ spectrum). Also included is detail on how to build a case for justifying a method, considering factors like return on investment. Objectionable organisms is a buzz phrase in the pharmaceutical sector, prompted by a push from regulators to consider those microorganisms beyond those described in the pharmacopeia as specified organisms that might pose a risk to products. This series of factsheets describes the criteria for determining whether an organism is objectional or not (looking at things like product risk profiles and the patient population), and presents profiles of many common objectionales. These organisms have been selected based on their commonality to the environment and appearance in recall observations from inspectors. The fact sheets use colour photographs illustrating growth on agar and by Gram-stain. These are supported by facts relating to the organism’s profile and methods for identification. The sheets are presented in a pack and together provide a unique, informative and colourful guide to an important area of quality control microbiology. The Microbial Limits Test is the mainstay of many pharmaceutical microbiology laboratories. 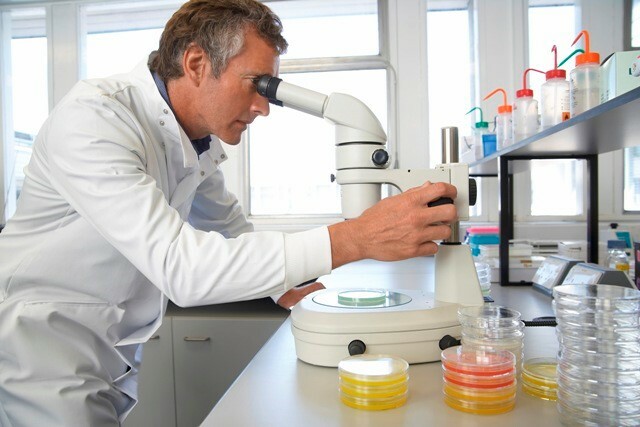 While the test is common there are challenges, such as identifying and characterising the specific microorganisms described in the pharmacopeia. These factsheets are designed to act as a training aid for new staff, and an aide memoire for more experienced staff. The sheets use colour photographs to illustrate growth on agar and by Gram-stain. Each organism is additionally profiled, with information relating to the organism’s profile and risks to the patient. The sheets are laminated and presented in a pack and together provide a unique, informative and colourful guide to an important area of quality control microbiology. Microbiology laboratories contain many computerised systems, SOPs, protocols and forms. When setting up a microbiology laboratory, generating the required documentation is a huge task. This Pharmig pack provides all of the necessary templates you’ll need in a downloadable and editable format. · Training in setting up electronic systems. · Advice on electronic systems. · Templates for laboratory SOPs and protocols. · Examples of test forms for a range of common QC microbiology tests. · The full range of validation documentation for laboratory equipment, from URS to IQ, OQ, and PQ files. The various files will also be of interest to the established laboratory manager, serving as a useful best practice benchmark. In every regulatory inspection training features and the training folder of the microbiologist is certain to be inspected. Are you using the most appropriate format for your training? This pack provides an array of templates for the full range of QC microbiology tests. Just as important as training is assessment. But how to assess? What should be practically demonstrated? Which questions to ask of the trainee? This pack provides a range of downloadable and fully editable assessments for everything from microbial identifications to environmental monitoring. Also included are templates to allow laboratory managers to track, trace and trend training. By purchasing this pack, the managers and the microbiology team will be audit ready. Endotoxin testing is an important area for many microbiology laboratories. Training in the LAL test is often best broken down into bite-sized chunks, and these factsheets provide single-point lessons on the key aspects of the test. These areas are explained in clear and concise language, together with practical examples and with illustration. The sheets are presented in a pack and they are laminated, making them an ideal bench-side training aid. The core parts of the LAL test for endotoxin is described in the main pharmacopeia, but there are many things left out and others that are less clear, especially when training new staff. · How to undertake method development. · How to validate new samples. · Explains concepts like maximum Valid Dilution and Endotoxin Limits. · Outlines how to run a depyrogenation study. · Looks at medical device testing. · Contains a detailed trouble shooting guide. This book provides a useful reference document for LAL users. All microbiologists need to carry out environmental monitoring, whether this is of a major plant or within the laboratory safety cabinet. Many aspects of monitoring are not well described and this Pharmig book addresses this. · How to set up an environmental monitoring programme. · How to evaluate environmental monitoring methods. · How to clean and disinfect effectively. · Tips for achieving particulate control. · How to run a risk assessment following an adverse trend. Whether a beginner or an advanced practitioner, this guide has something for pharmaceutical microbiologists and their management teams. There is far more guidance for sterile manufacturers than those involved with non-steriles in relation to microbial contamination risks and control measures. To address this gap, Pharmig has produced this guide for microbiologists working in this field. · Best facility design requirements. · Microbial risks in non-sterile manufacturing. · Best practice tips for achieving microbial control. · Advice on undertaking risk assessments. The guide helps steer the microbiologists through the regulatory expectations, offering many practical examples. Cleanrooms are the fabric within which most pharmaceutical processing takes place, yet not all pharmaceutical microbiologist are familiar with how they work and the contribution they make to minimising contamination. In addition there are several different cleanroom standards and making sense of these and drawing comparisons can be changing. · Describes the contamination control features of cleanrooms. · Explain the different cleanroom standards and how they compare. · Provides detail of the recently updated ISO 14644 standard (Parts 1 and 2). · Descries the different test methods for cleanrooms, like particle classification; pressure monitoring; air change rates and so on. The guide is useful for microbiologists and cleanroom managers – helping to link engineering principles for microbiologists. Historically, our view of host defense against infection was that we must eliminate pathogens to eradicate disease. However, this perspective has recently been challenged as scientists have taken a lesson from plant biologists about an ancient strategy involving the ability to “tolerate” rather than “resist” infection to maintain health. This concept, referred to as “disease tolerance”, provides an opportunity to develop new strategies that mitigate the consequences of infection. Since the discovery of Mycobacterium tuberculosis, or Mtb, (the bacteria causing TB) over a century ago, great progress has been made in defining strategies that facilitate elimination of the bacteria. For instance, the discovery of antibiotics was a major breakthrough in the treatment of active TB. However, greater than 90 per cent of TB-infected individuals tolerate the bacteria without any treatment. Dr. Maziar Divangahi, a pulmonary immunologist and associate director of the Translational Research in Respiratory Diseases Program at the Research Institute of the McGill University Health Centre (RI-MUHC), and a member of the McGill International TB Centre in Montreal, has been trying to explain why the vast majority of people infected with Mtb can tolerate the infection without developing disease. Clinicians refer to this condition as “latent tuberculosis”, and it affects a quarter of the global population. “TB is a perfect example of disease tolerance,” says Dr. Divangahi. Dr. Divangahi’s team found that rather than fighting to resist the pathogen, the body’s tolerance to Mtb is the key mechanism for preventing the spread of the infection. More surprisingly, they found that having excessive levels of T cells, which are known as soldiers of our immune system, could cause more harm than good. “We always thought that having more T cells would provide better protection against TB. Instead, we found that it could imbalance disease tolerance causing extensive tissue damage and ultimately killing the host,” says Dr. Divangahi, lead author of the study published today inScience Immunology, who is the also the associate director of the Meakins-Christie Laboratories. Our body’s defense system is divided into two arms: one is resistance, which aims to eliminate the pathogen, while the other is tolerance, which is designed to control the tissue damage caused by the infection. “While disease tolerance is an established field of research in simple organisms such as plants, our understanding of this host defense strategy in humans is very limited,” says Dr. Divangahi. Although, immunologists and vaccinologists have made progress in the study of host resistance to infectious diseases, little is known about the mechanisms of disease tolerance in humans. “In contrast to conventional thinking, we show that T cells are essential for regulating the body’s tolerance to Mtb infection,” explains one of the study’s first authors, Dr. Nargis Khan, who is currently a postdoctoral fellow in Dr. Divangahi’s lab at the RI-MUHC. The EU GMP Annex 1 draft was subject to a consultation period during which interested partiels submitted responses. Pharmig was one of the member organisations that submitted a response. Pharmig welcomed the draft and see it as a long overdue reclarification of the requirements of sterile products manufacturing. The stronger link to Quality Risk Management and references to new technologies were particularly welcomed. Pharmig has established an interactive on-line training platform. 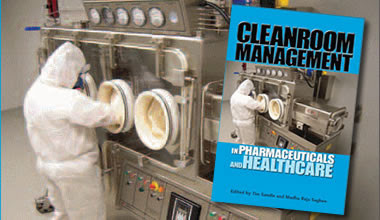 The first module covers cleaning and disinfection, aimed at GMP cleanrooms. To understand how e-learning can be delivered effectively, Tim Sandle interviewed one of the co-developers, Laura Guardi. The US Food and Drug Administration (FDA) on Wednesday finalized its version of the addendum to the International Council for Harmonisation's (ICH) good clinical practice (GCP) guideline. The addendum, referred to as E6(R2) Good Clinical Practice: Integrated Addendum to E6(R1), updates the previous version of the E6 guideline from 1996 and was adopted by the ICH Assembly in November 2016. According to FDA, the guideline was amended "to encourage implantation of improved and more efficient approaches to clinical trial design, conduct, oversight, recording and reporting, and also updates standards regarding electronic records and essential documents." FDA also says the updated standard will "improve clinical trial quality and efficiency, while maintaining human subject protection and reliability of trial results." Shortly after its adoption by ICH, the European Medicines Agency (EMA) finalized their version of the guideline, which came into effect for the EU in June 2017. Switzerland has also amended its Clinical Trials Ordinance (ClinO) to refer to E6(R2) as of 1 May 2017. Additionally, Health Canada announced last May that it plans to fully implement the addendum in April 2018, though Japan's Pharmaceuticals and Medical Devices Agency (PMDA) has not yet said when it will implement the new guideline. 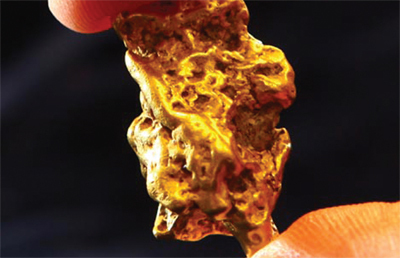 King Midas is remembered in Greek mythology for his ability to turn objects he touched into gold. Surprisingly, his strange ability is shared in reality by a certain species of bacteria called Cupriavidus metallidurans. Cupriavidus metallidurans strain CH34 (renamed from Ralstonia metallidurans and previously known as Ralstonia eutropha and Alcaligenes eutrophus) is a nonspore-forming, Gram-negative bacterium which is adapted to survive several forms of heavy metal stress. Therefore, it is an ideal subject to study heavy metal disturbance of cellular processes. This bacterium shows a unique combination of advantages not present in this form in other bacteria. This bacterium extracts gold from heavy metal compounds in the environment, forming tiny gold nano-nuggets. A team of researchers from Germany and Australia led by Frank Reith from the University of Adelaide and Dietrich H. Nies from Martin-Luther-Universistat Halle-Wittenberg identified the enzymes involved in this “gold cycle,” and reported their findings in the journal Metallomics. C. metallidurans is normally found in industrial sediments or wastes which contain high heavy metal concentrations. C. metallidurans was initially isolated from the wastewater of a zinc factory in Liège, Belgium. Later, this bacterium was found in another unusual place; it was the dominant organism present in biofilms on gold grains found in the Prophet gold mine in Queensland, Australia. C. metallidurans—whose name means “metal-enduring”—is a unique species of bacteria that survives in environments with high heavy metal concentrations, which would be toxic to other bacteria. C. metallidurans is often found in industrial waste sites or mining locations, and especially in gold nuggets in Australia. According to the World Health Organization (WHO), it is estimated that 2.3 billion people around the world have no access to safe, clean toilets, and where there are sanitation facilities, the waste is often not safely managed. The cost of lives is enormous, contributing to an estimated 280 000 deaths every year, not to mention the detrimental impact on people’s well-being and the environment. New technologies such as community-scaled faecal sludge treatment units, which essentially treat the waste at a community level even where there are no suitable wastewater treatment systems in place, are emerging to address this, providing a lifeline for many. Yet in order for this new technology to take off, internationally agreed guidelines are required. As a first step, a new ISO International Workshop Agreement (IWA) has just been published, developed in partnership with the Bill & Melinda Gates Foundation and led by ANSI, ISO’s member for the USA. IWA 28, Faecal sludge treatment units – Energy independent, prefabricated, community-scale resource-recovery units – Safety and performance, will help to facilitate the commercialization and expansion of such treatment units into the market, making them safer and more accessible to those who need them. At the same time, a new ISO project committee – ISO/PC 318, Community scale resource oriented sanitation treatment systems – has just been formed. Bringing together international experts, it will build on the information and expertise gathered to develop IWA 28, a major step to help realize the potential of such technologies and, ultimately, save lives. Raymond Lee, Chair of the workshop that created IWA 28, said the committee would draw on the more than 130 experts from 27 countries involved in its development to turn the IWA into a much needed International Standard. As part of the Certification of Suitability procedure, the EDQM runs an inspection programme for API manufacturers and is committed to optimise the inspection resources as much as possible. Therefore it has been an active member of the International API Inspection Programme since its creation back in 2008, together with the EMA, several European Union national authorities and international partners. The MHRA have recently written about the sterility assurance concerns of hydrogen peroxide, especially around the issue of hydrogen peroxide vapour not being a penetrative method. This is in keeping with a point I’ve made in my book “Sterility, Sterilisation and Sterility Assurance for Pharmaceuticals”, which is available for review or purchase here. I have been the chairperson for the revision of Annex 1 of the EU and PIC/S GMPS for the manufacture of sterile medicinal products for a couple of years now. As such I engaged with stakeholders and other regulators to understand their wishes and concerns. One particular topic that has come up as a discussion point at a number of the more recent conferences that gives me great concern, and this is around how to sterilise direct and indirect product contact items in an isolator. I therefore felt it was time to go into print regarding the agency’s view. Indirect product contact parts, as the name implies, are equipment parts that come into contact with items and components, such as stoppers. So, although the equipment itself does not contact the product the items that are “processed” by the equipment do. 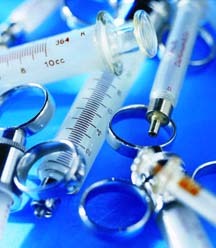 Direct contact parts are those that the product passes through, such as filling needles or pumps. The issue that is arising is that a number of manufacturers are not including robust systems of sterilisation, such as autoclaves, dry heat or offsite irradiation in their facility designs. This leaves a situation where the Agency is being asked, why Vapour Hydrogen Peroxide (VHP) cannot be used for “sterilisation” of these direct and indirect product contact parts. After all, pharmacopeias refer to VHP as a sterilising agent. However, our concern is that although under ideal conditions, VHP can achieve a reduction of biological Indicator spores of up to 6 logs, the process itself is incredibly fragile. If we cast our minds back a number of years, when VHP was being used to decontaminate the internal surfaces of isolators (not the indirect or direct contact parts) there were a number of issues seen with biological indicators failing the process due to clumping of spores at a microscopic level. This led to a number of papers being written (such as “Biological indicators don’t lie, but in sporicidal gassing disinfection cycles do they sometimes confuse the truth?”, European Journal of Parenteral & Pharmaceutical Sciences 2009; 14(1): 5-10 © 2009 Pharmaceutical and Healthcare Sciences Society) that justified biological indicator failure at one or two locations based on statistical analysis. The papers also recommended that a number of indicators (usually 3) be placed at each location to demonstrate a 3 log reduction (which is not a sterilisation process). This, along with other evidence, such as VHP failure due to very minor occlusion, even to the degree that fatty acids from a fingerprint may “protect” contaminating organisms from the VHP demonstrate the true fragility of the process as a sterilant. If we then consider the design of some of the indirect and direct product contact parts, we find that a number of them are either difficult to achieve VHP penetration, or, damage and wear and tear can leave surfaces that lead to difficulty to clean and therefore potential occlusion. VHP, when well controlled and validated, is a useful method for the decontamination of the surrounding workspace, e.g. an isolator environment. However, given the above concerns, our current stance is that VHP cannot be used to sterilise critical items. Even if some of the concerns can be removed by well thought out processes, this still leaves the sterilisation at risk of the vagaries of manual process during set up. For instance, how many of us see ‘human error’ as a high percentage of root cause errors during deviation investigations? Therefore, it would be a high risk option and potentially leave the patient at risk from such a fragile process. So, what are we expecting? The sterilising agent reaches all of the critical surfaces in a consistent and repeatable manner, typically requiring processes such as moist or dry heat sterilisation. The item is unloaded from the sterilisation process either wrapped in integral covering or container, or is transferred under grade A conditions, such as a transfer isolator into the manufacturing isolator. We also expect that the parts are not exposed to the isolator environment until the isolator has been closed and after completion of the work zone decontamination VHP cycle. We continue to move increasingly into a pharmaceutical world governed by the principles of quality risk management. We are unable to say that VHP will never be an acceptable approach. However, manufacturers who are considering a different approach to sterilisation, or to any other GMP requirement, seek a dialogue with the agency at an early stage. This may save on costly modification later on in the project and who knows, you may even receive some useful help! The MHRA post can be found here. Just How Important Is Calibration?